High quality 100% soft and breathable cotton knit white shawl/blanket with thick hand crochet diamond pattern, crochet edging, and ribbon bow accent. Thick hand crochet diamond pattern on front and back. Elegant crochet with highlighted wave pattern edging throughout. Fancy petite white ribbon bow accents the front beautifully. 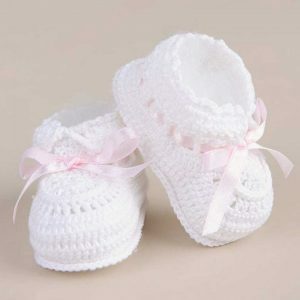 Made from warm yet breathable soft 100% Cotton Knit. Use as a receiving blanket or crib blanket. 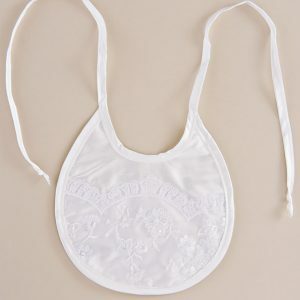 Can be taken on car trips or used in a stroller. 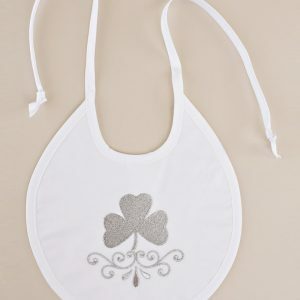 Its stylish design makes this keepsake/heirloom a great baby shower gift idea. 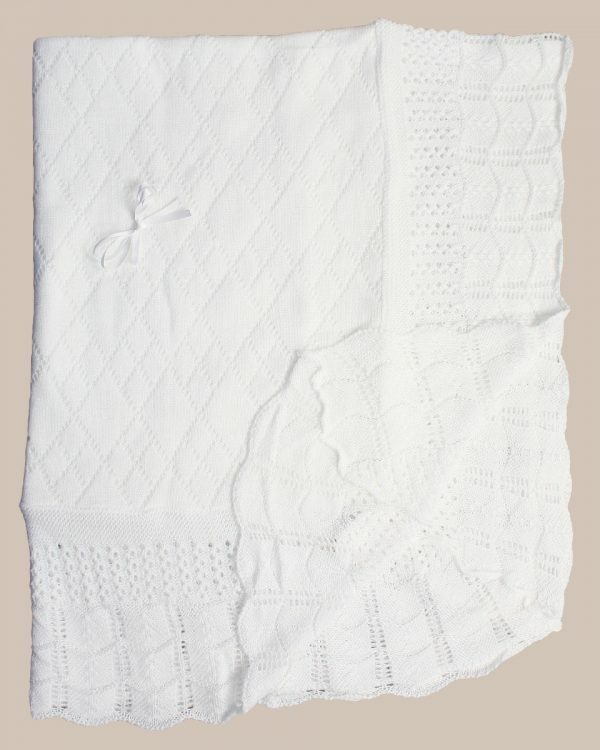 High quality 100% soft cotton knit white blanket/shawl with thick hand crochet diamond design on front and back and crochet edging throughout. Approximate size: 49″ x 39″.